Sydney Booth has served as editor-in-chief of the Red Ink since the beginning of her junior year in the 2017-2018 school year. Sydney enjoys working in both the calm of the newsroom and under the immense stress of deadlines that roll around every quarter. Although she writes some of everything (news, feature, sports, and opinion), Sydney has always considered news writing to be her favorite style of journalism. Working on print editions is always the highlight of her day. 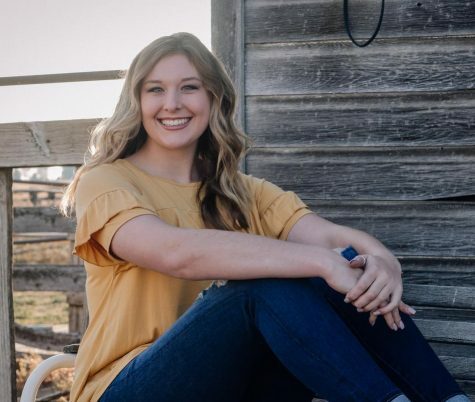 In fact, when the time comes to lay out senior pages for the school year's final print edition, she can frequently be heard saying, "It's the most wonderful time of the year!" Although not all of the staff members share her enthusiasm about senior pages, they have been and always will be her favorite project. When she is not in the newsroom, Sydney can be found on the basketball court, out playing tennis, at church, yelling at fellow staff member Everet Slaughenhaupt, or reading a good book.